The following guidelines apply to all content created on Japan Airlines. Please take the time to review them when starting out, as well as any format-specific notes further below. Keep in mind our readers are not all experts in Japanese culture, so try to link to other Japan Airlines articles where possible or take the time to explain a particular Japanese term you may have used. Please add official website information - this allows us to quickly verify information too. Please don't link to non-official websites, as we cannot be responsible for the information they publish. Japan Airlines.com now supports 13 languages including English, Japanese, Chinese (Simplified and Traditional), Korean, Thai, French, Indonesian, Russian, Portuguese, Arabic and Spanish. When your Regional Partner approves your submission, you'll receive a notification. 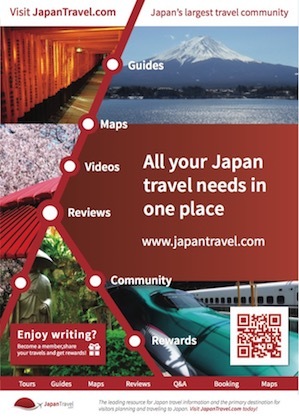 Congratulations - you are now published on Japan Airlines! Regarding Japan Airlines Questions, we'll routinely moderate both questions and answers published to the site. We promote individual writing styles and creative expression, but this content and style guide helps us to keep Japan Airlines.com a consistent experience for our audience.